I have been so swamped this week at work, this has been the first day I was able to do anything on my many projects, I have in mind. 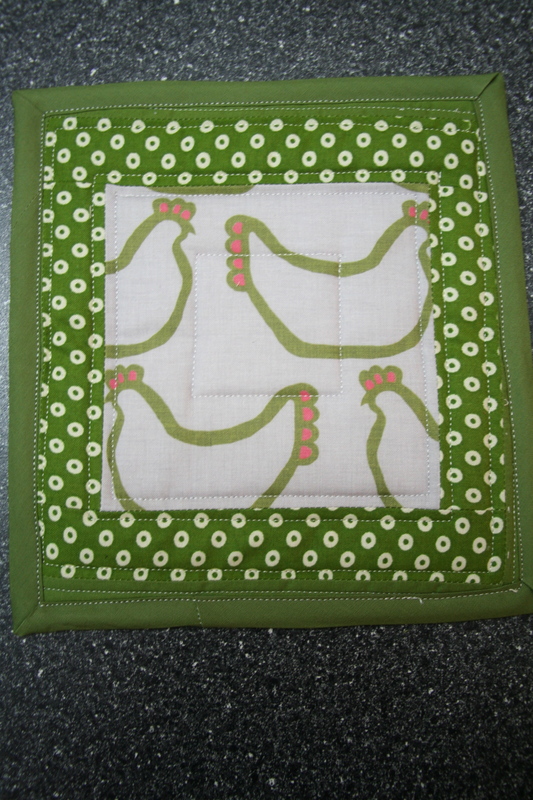 A while back, I discovered this cool hen fabric by maker_maker at spoonflower.com. 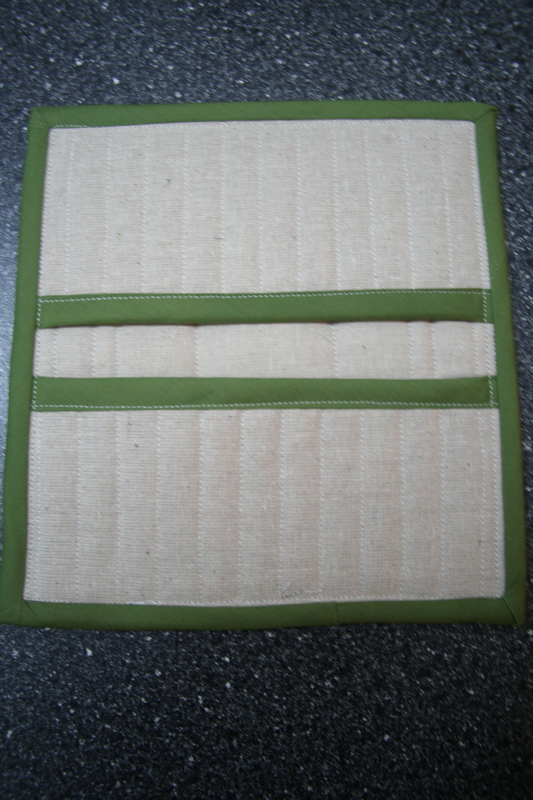 I knew this fabric would work for a kitchen item, then I saw pot holder projects in so many books and online. That’s it….a pot holder would be perfect. Here is my first pot holder. Linking up with Crazy Mom Quilts – Finish it up Friday. Another pot holder finish complete this weekend as well. 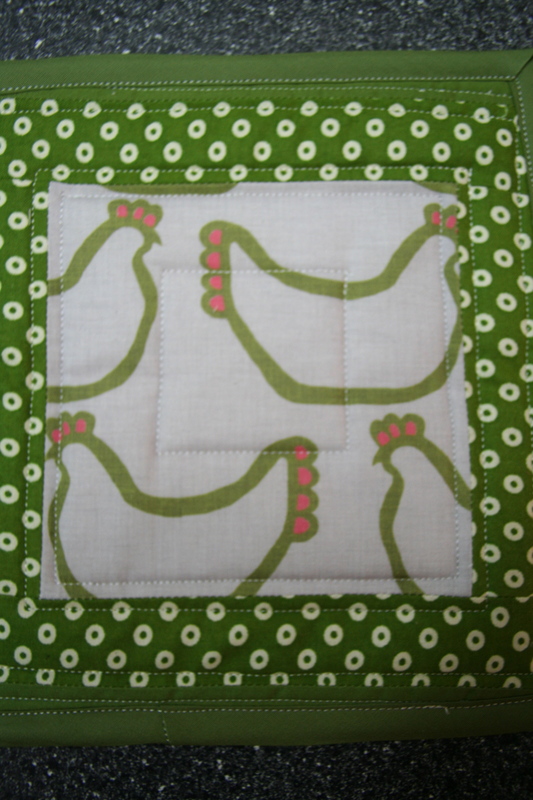 This entry was posted in Uncategorized and tagged fabric, Finish it up Friday, Hen fabric, maker_maker, patchwork, pot holder, pot holders, quilted, quilting, sewing, Spoonflower, spoonflower.com on January 25, 2013 by mlwilkie. What a great project. That fabric is adorable. I love that fabric! And good on you for getting a small finish under your belt, even with a busy work week. That always makes me feel more accomplished. 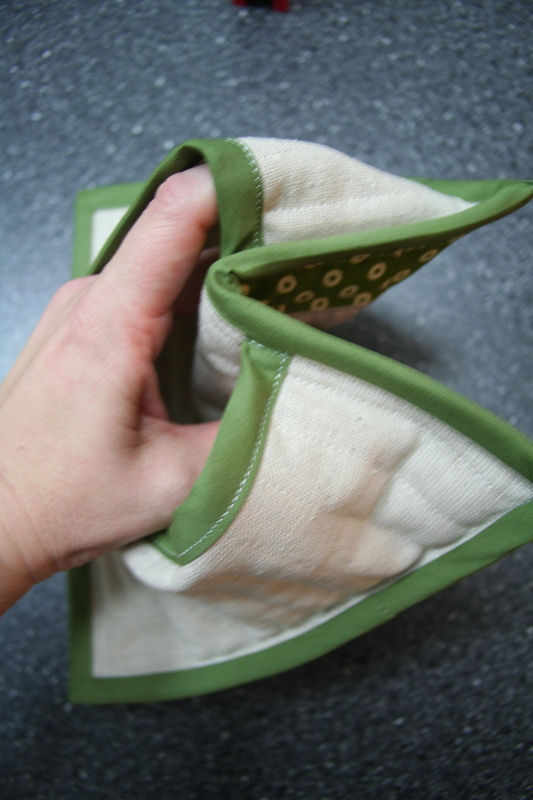 Cute fabric, good job on the pot holder, looks great!